I must document this enjoyable tale. I really did gain a lot of insight and wisdom from reading this book. 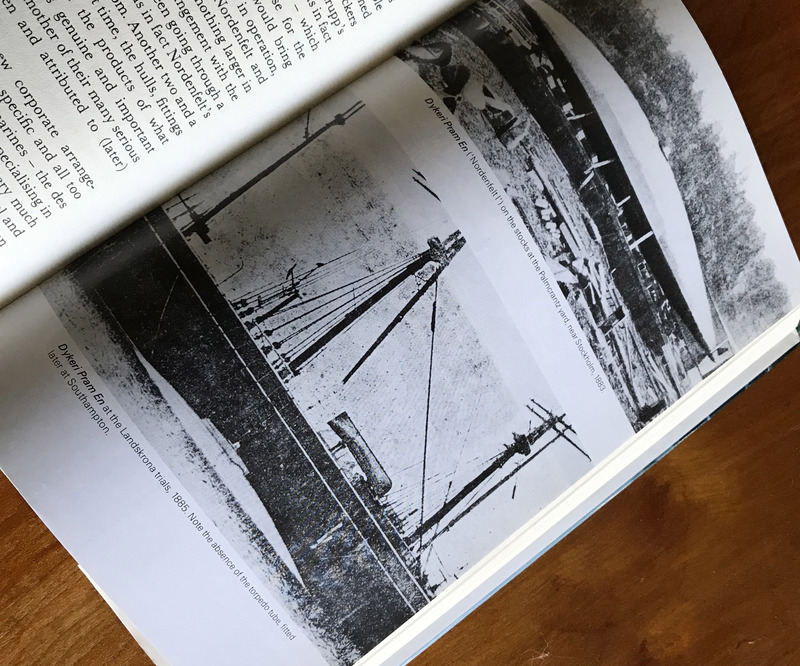 I found it through various searches about the pioneering submarine Resurgam, a Garrett design, and needed to know more about this man who was a preacher and a warship visionary. 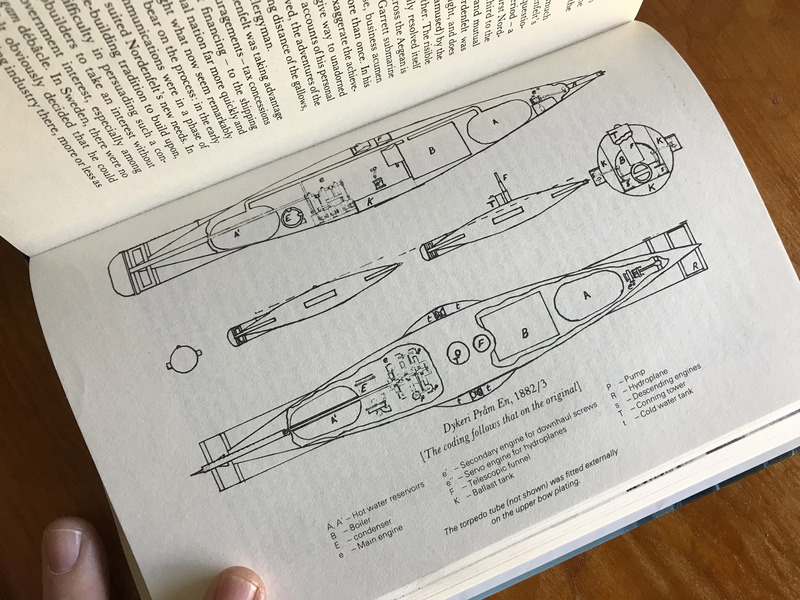 Father Of The Submarine: The Life Of The Reverend George Garrett Pasha by William Scanlan Murphy, arrived in a bubble-wrapped envelope from England, a fitting place to find such an English-centric tale. Murphy delivers a brilliantly written biography of a tragic life. From the home of a reverend, to the pulpit himself, Rev. George Garrett’s life was one of wild ideas, sketchy accounting, visions of grandeur, moderate success, and stupendous failure. His ideas were innovative for sure, but a submarine boat in the late 1880s surely was a hard sell. Immediately the resistance was felt, beginning with his own flock. The troubles of being a pioneering submariner in Victorian Manchester meant Garret’s flock was less than enthusiastic about their shepherd making war machines. His first efforts, though advertised with glowing optimism that bordered on a 9th commandment violation, all hit rock bottom eventually. Or shall we say, mud bottom? Linking arms with one of the world’s most nefarious and mysterious arms dealers got him ultimately a fez on his head and a commission in the Turkish Navy, though his two Turkish submarines merely rusted on a Turkish beach. Having linked in arms with the famous arms wizard, Thorsten Nordelfelt, their final submarine foundered on the sands in a manner that would make Erskine Childers wince. Apparently, George Garrett was freak of nature, for he seemed to be a gale-magnet while at sea. But insurance payed out… as many suspect was the designed end of the Garret/Nordenfelt submarine business. There was always a shady side of a Garret boat. Presented before us is a man who went from a rectory of the Church of England, to having a warship of his own design personally reviewed by the Queen of England, to the victim of a winter farm disaster in Florida, to the rank of corporal in the US Army, and finally to working namelessly as a pauper firing the trains in New York City. From glory to anonymity in the span of 30 years is the life of the man who’s greatest contribution to technology went by another man’s name. Ahh, Nordenfelt, the name so often associated with the pioneering days of modern submarines and guns. But it was Garrett who’s novel ideas were to envision the future of naval combat forever. He died penniless, sick from the years of gagging on fumes and carbon monoxide in the bowels of his own mechanical beasts. It is a sad tale, one that resonates with the insecurities of men, for are we not all one bad winter away from utter disaster? Of note in this biography is the exceptionally rich bibkliography, from which I have tracked down and ordered a biography of Basil Zaharoff, a notoriously intyeresting arms dealer of the era, with whom Garret found himself linked. The biography, “The Man Behind the Scenes;: The Career of Sir Basil Zaharoff” by Richard Lewinsohn, promises to be a rich tale of mystery. Also noteworthy is the well-researched nature of this biography. The author’s access to the family and to Garrett’s letters adds immensely to the book. How sad now that we do not write letters. Future biographies will have to find ways to access archived social media accounts and emails. There seems to be something more intentional, personal and weighty about letters. Suffice to say, I appreciated the inclusion of quotes and ample citations from Garrett’s correspondence. This was a very enjoyable yarn, it would surely make a fine study of human nature for any interested.